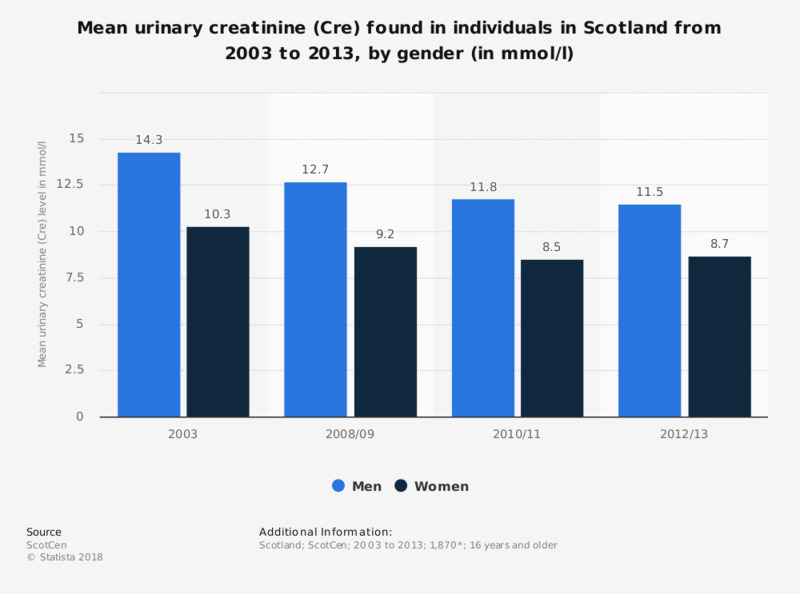 This statistic displays the mean urinary creatinine (Cre) found in individuals in Scotland from 2003 to 2013, by gender. In the year 2013, men had 11.5 mmol/l of creatinine in their urine and women had 8.7 mmol/l of creatinine in their urine. Weighted bases: n (2003)=1,129, n (2008/09)=2,074, n (2010/11)=1,800, n (2012/13)=1,870.